We’re living in the Tech Age, and just like any other industry, the healthcare domain is going through a technology evolution. As the speed of innovation is sometimes higher than expected, what seemed to be futuristic ten years ago is now a reality. That is why it’s crucial to getting to know the recent trends in their baby years to adopt them when the right moment comes. Harry Pappas, president of the Intelligent Health Association, explained this paradigm at HIMSS 2015: “Part of our organization’s mantra is not only to educate today’s healthcare professionals about what’s out there but also about where it’s going tomorrow“. One of these innovations in healthcare is the use of wireless technology. In 2009, wireless technology was “still emerging”. Nowadays, wireless networks are considered vital for health IT infrastructure for a number of reasons. 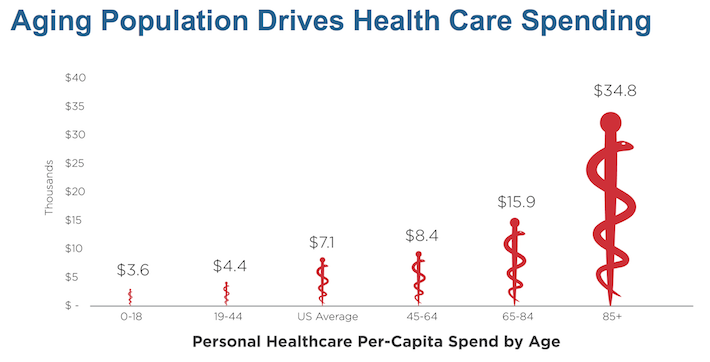 Firstly, the population across the globe is ageing, which leads to an increased volume of patients in hospitals. For instance, in the US alone, 65 years old and over residents grew from 35.0 million in 2000 to 49.2 million in 2016, accounting for 12.4% and 15.2% of the total population, respectively (source – U.S. Census Bureau population). This way, it turns like hospital administrators have to do more with the current personnel, budget restrictions and facility infrastructure they’ve been having in place for years. Anyway, what does it mean “to do more”? In a nutshell, they still have to deliver quality healthcare services to the growing number of patients in a reliable, economical, secure, and efficient way without resorting to the evident solution—employing more staff and upgrading their tools to effectively respond to those increasing demands. Secondly, wireless technology has a profound impact on the areas of patient safety, data accuracy, and mobility. The encryption of a hospital’s main wireless network limits unauthorized access to a patient’s protected health information. In addition, a network must meet the most recent security standards like Wi-Fi Protected Access (WPA), the practice which leads to avoiding HIPAA violations caused by data breaches. True, the appropriate functioning of healthcare wireless network may be facing a number of serious challenges. However, the application of some industry best practices makes it possible to overcome them. The first task to work on is the most obvious (but quite often the most complex) – the reliability of the network. “In a healthcare setting, the network has to be extremely reliable because it’s literally life or death. You have to plan coverage capacity, backup systems, and application intelligence just to make sure that things work – and that they work 24/7,” adds Rick Reid, Aruba Networks Product Marketing Manager. The proper planning takes into account all possible digital and physical obstacles such as the blocking of radio frequencies (RFs) by building materials. As a rule, the devices have to work everywhere on campus: in the stairwell, in the lobby, and in the hallways, with no dead spots. Additionally, to gain full visibility and control over the network, organizations must understand the process of data flow and set the priority of connected devices as wireless networks don’t just need to support all connected devices if the traffic is high. What they really need is to prioritize signals and tell the difference between a clinician looking at a patient record during a routine checkup and a clinician looking at a patient record in the ICU or emergency room. The network needs to determine which action is more urgent. The well-timed maintenance is also on the to-do list. As one can’t simply shut down operations in an ICU unit or emergency room to perform routine maintenance on the network APs, a management solution that recognizes connectivity patterns and identifies periods of low activity is also a must-have feature. The secure Wi-Fi connection is another important factor unless you want to put in jeopardy patient safety. Medical devices like infusion pumps, patient monitors or MRI/CT ultrasound scanners require a rigorous set of security protocols and continual connectivity. These devices continuously measure key parameters of a patient including blood pressure, heart rate, and respiratory rate, so they need to be continuously connected to ensure accurate data and instant alerts to nurses for better patient safety. And here’s where 5G comes in hand. Its mission – the support for Internet of things (IoT) — is more than providing simple support for many wireless devices. Security is perhaps the key technical problem, and a specific feature of 5G, network slicing, would provide a way to separate sensor-control networks from other wireless users. 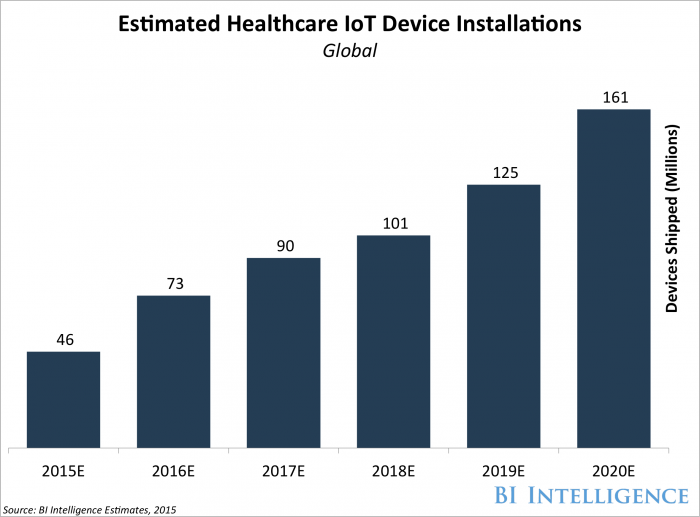 That could be a giant yet timely step in providing security for IoT gadgets as according to numbers by Forbes, the market for IoT devices in healthcare is expected to reach $117 billion by 2020. This way, Wi-Fi connections must be secure so that sensitive information transmitted over the air is protected and access to hospital Wi-Fi networks and the resources behind them is controlled. Once an organization has its entire facility covered with a basic network, it must ensure that the network is robust enough to meet expectations. “An average hospital room will have between 15 and 20 medical devices, and almost all of them will be networked. That’s a pretty high density if you think about the size of an ICU room, ” said Reid. The other concern is maintaining a guest network where patients and visitors have Wi-Fi access on their personal devices. The advantages of wireless networks within the hospital walls are already tangible. After all, when the well-being of human lives may be at stake, it becomes clear that investments in technologies which reduce challenges are worth every effort. In a study by the Institute for Healthcare Improvement, researchers noted that unmonitored patients only have a 6% chance of surviving a cardiac arrest incident. In comparison, monitored patients have a 48% chance of surviving this type of healthcare emergency. However, the monetary aspect is important too. After all, hospital institutions aren’t just places where patients receive care – they represent businesses in their own right. For example, with radio frequency identification devices hospitals can trace and track the status of various pharmaceuticals as they move throughout the building, not to mention the cooperation with the healthcare supply chain itself. This way, organizations make sure various medicines are being used responsibly without costing additional money. Sure enough, to make things work, healthcare organizations should bring in professionals who specialize in the healthcare wireless network deployments and know its tiniest nuances. Experts will point out physical or network obstacles in-house IT departments may not be aware of and plan the best wireless deployment in correspondence to an organization’s building and layout. As more advanced technology continues to be added to health IT infrastructures, wireless networks will be the key piece of future hospitals’ success.